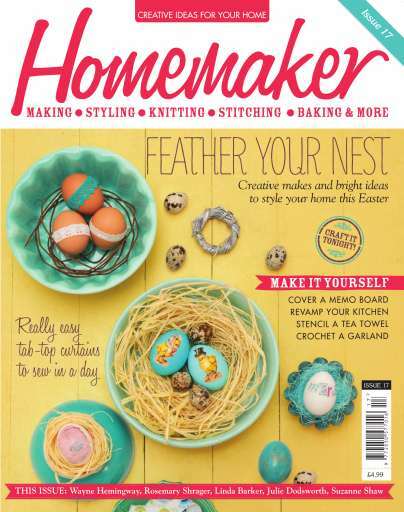 Craft an Easter eggstravaganza to remember with our six-page styling special, packed with 10 easy ideas to try tonight! 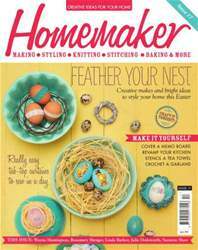 And the fun doesn't stop there: Eric Lanlard reveals his top tips for perfect chocolate eggs, there's a crochet daisy chain to brighten up a dull corner and up-and-coming illustrator Emma Block lets us inside her world, then gives every reader a free print! Plus, we reveal if the hallowed Annie Sloan Chalk Paint as good as it's cracked up to be in our one-day kitchen makeover - a must-read for upcylers and crafters alike. And finally, our resident stitch whizz Amanda Walker has outdone herself this issue with her easiest curtain project yet, and we've got a similarly simple bean bag DIY to whip up in a flash.